Thanksgiving is a time for giving, sharing, and family. It’s a holiday that brings us together from over the river, through the wood, and across the country, to show our appreciation for family and everything we have. . This sounds a lot like the spirit behind Disney itself. 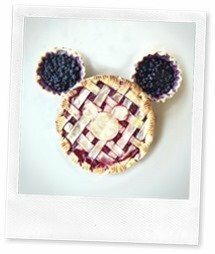 So what better way to honor this connection than to Disneyfy your Thanksgiving! This classy touch will bring joy all season long. It’s also a way to show off your creative side and let your neighbors know what’s important to you. 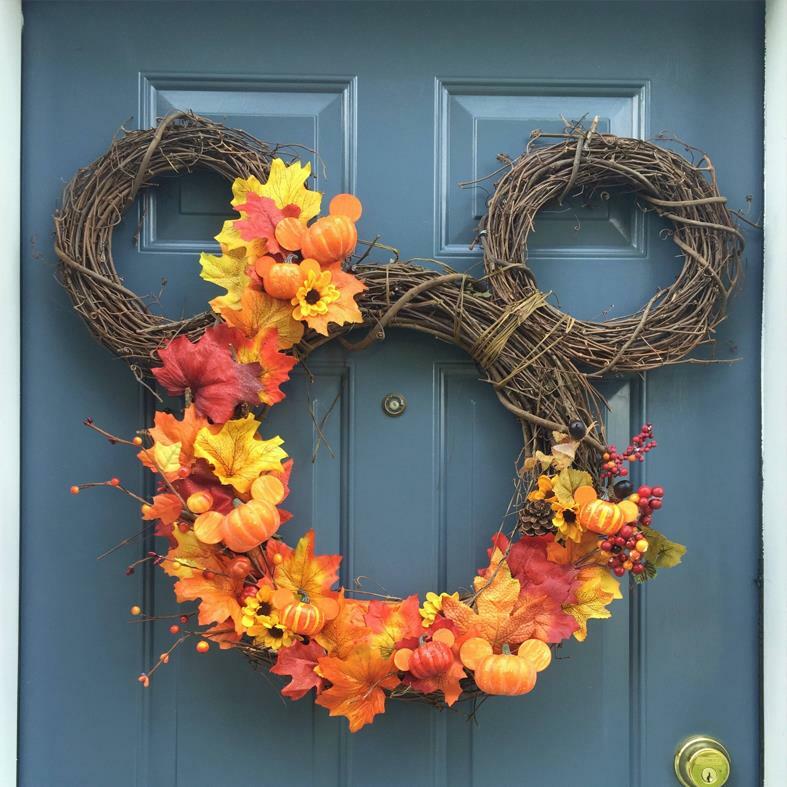 You don’t have to go with the Mickey ear design, but even if you do, there are so many decorating options that yours is bound to be one of a kind. What better way to turn your holiday into a Disney party than a centerpiece. It’s the focal point of any great Thanksgiving feast, and whether you choose to go with Cinderella, the Mouse himself, or maybe a decorative Death Star, any bit of Disney magic will surely brighten the faces of your friends and family. Let’s get serious for a minute. Thanksgiving would not be the holiday it is without the PIE! Lots and lots of pies!!! This is a cute way to give people their choice of flavors, while making sure that Mickey is still the main man at your party. 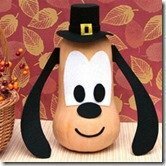 Here is a cute way to dress up that kiddie table, or even the adult table if it is filled with awesome Disney lovers. 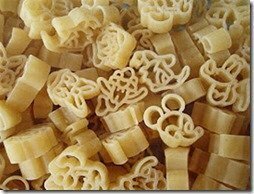 These adorable Mickey Napkin Rings will add so many giggles and smiles to your dinner napkin that you may not even want to use it. Maybe you should put out a stack of paper napkins too, just in case. If you want to get even more creative, think about using different characters for each guest’s napkin. Make it a game and pick the Disney character that fits each guest’s personality, then see if they can guess which seat is theirs. Your choices when choosing a thanksgiving inspired Disney movie are limited; trust us we were just as surprised as you. Winnie the Pooh’s Seasons of Giving, a Disney’s House of Mouse episode entitled House Of Turkey, and Jim Henson’s recently released Turkey Hollow may be your only options for a Thanksgiving movie fest. 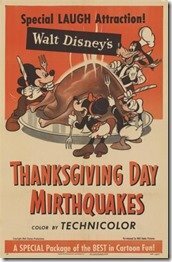 Search as we may, it appears that the 1953 Walt Disney’s Thanksgiving Day Mirthquakes was only available in a theatrical release. It would have been nice to see which animated shorts Disney put together for the turkey season. I mean seriously, what can we say about this Butternut Pluto? It is just too stinkin’ cute and would make an adorable centerpiece in and of itself. If you aren’t sure what to do with the butternut squash once the party is over, they make a great soup or you can even fry them (think sweet potato fries, but better). From pasta salad to macaroni and cheese, the opportunities to create a Disneyfied side dish are endless with Disney Friends Pasta. 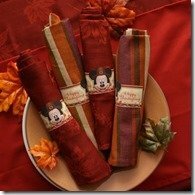 Seriously, how adorable would it be to see your Disney pals brighten up your Thanksgiving plate. 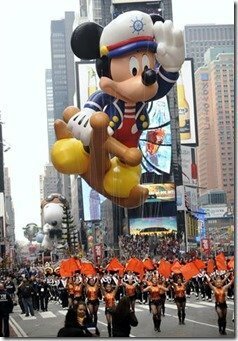 Mickey has always been a favorite in the annual Macy’s Thanksgiving Day Parade. Disney fans across the country fill with excitement when those mouse ears float down the street. 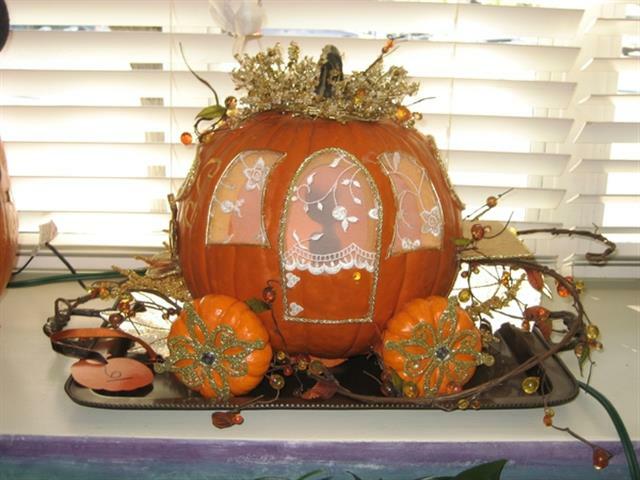 Watching the parade is the perfect way to bring a little Disney magic into your home. This year’s parade has something really special in store for Disney and Muppet fans, 2016’s parade will be led by the one and only Miss Piggy (oh yeah and Kermie too, but you know she is all about “hogging” the spotlight). The parade will kick off with an amazing musical number like only The Muppets can deliver. If you can’t bring Disney to the table, you can at least bring it to the party with an endless number of Disney accessories. 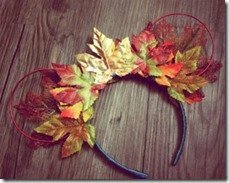 A fall inspired set of mouse ears, a festive Mickey tie, or a hidden Mickey patterned dress, a touch of Disney can go a long way to adding an extra touch of joy to your Thanksgiving festivities. 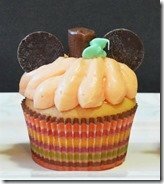 These Mickey pumpkin cupcakes were inspired by a treat actually sold in the parks. They are not only cute, but delicious and easy to make too! Not a fan of pumpkin cake, that’s fine, it would work just as well with chocolate or vanilla. Let your creativity shine and make them your own!